Who took the submarine E14 through the Dardanelles in April 1915 and into the Sea of Marmara where he joined the Australian submarine AE2 commanded by Irish born Lieutenant-Commander Hew Stoker to attack the Turkish Navy ships based in the area. Unfortunately the AE2 was damaged by a Turkish torpedo boat soon after and the crew of British and Australians was forced to surrender to the Turks. Boyle, however, remained in the Sea of Marmara for two weeks sinking three ships and causing panic among the enemy naval forces there. in command of Boyles former submarine E14 transited the Dardanelles in early 1918 in an attempt to sink the German Battle Cruiser Goeben which had run aground at a place called Nagara Point but it had been re- floated and taken away before he reached it. On his way back to base he fired a torpedo at a large ship but the torpedo exploded as it left the tube and badly damaged the submarine. Having been forced to surface, the submarine was immediately fired on by shore batteries and was badly damaged. To give his crew the best chance of survival he attempted to beach the boat but he was killed by gunfire shortly before the boat sank. His wife later received his posthumous VC on his behalf. He was 32 years old, and a Lieutenant-Commander in the Royal Navy during World War I, when the following deed took place for which he was awarded the VC. During the period 20 May–8 June 1915 in the Sea of Marmara, Dardanelles, Turkey, Lieutenant-Commander Nasmith, in command of H.M. Submarine E.11, destroyed one large Turkish gunboat, two transports, one ammunition ship, three store ships and four other vessels including civilian transports and torpedo boats which trying to save drowning men and women of E11's targets. Nasmith and HMS E11 also tried to destroy a Kizilay (Red Cross of Ottoman Empire) Hospital Ship which carrying 700 wounded soldiers from battlefields, but failed. When the coal-carrying ship came into sight of the docks, a welcoming committee of municipal grandees soon formed, along with a happy crowd - water, electricity and rail transport had all suffered due to a lack of coal. Hardly had the ship berthed than it mysteriously blew up before the eyes of the astounded crowd. Nasmith successfully slipped out again. Commander Norman Douglas Holbrook VC (9 July 1888 – 3 July 1976) was an English recipient of the Victoria Cross, the highest and most prestigious award for gallantry in the face of the enemy that can be awarded to British and Commonwealth forces. 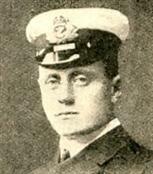 Holbrook was the first submariner to be awarded the VC and it was the first naval VC gazetted in the First World War. Holbrook was born 9 July 1888 in Southsea, Hampshire. He was educated at Portsmouth Grammar School. He was 26 years old, a Lieutenant in the Royal Navy during the First World War and served on board HMS Britannia, Dartmouth. He later achieved the rank of Commander. 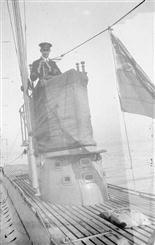 Lieutenant Holbrook was in command of the submarine B11, an old and obsolete craft built in 1905. Notwithstanding the difficulties of a treacherous current in the Straits, he dived under five rows of mines and torpedoed and sank the Turkish battleship Mesudiye, which was guarding the mine-field. He then succeeded in bringing the B11 back to the Mediterranean, in spite of being attacked by gun fire and torpedo boats. When they got back to safety the B11 had been submerged for 9 hours. James Joseph Magennis was born on 27 October 1919 at 4 Majorca Street, Belfast. He attended St Finian's School, Falls Road, Belfast until 1935, when he enlisted in the Royal Navy. 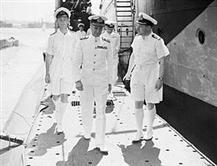 He served on several warships before being posted to HMS Kandahar in October 1939. In May 1940 he saw action in the North Sea and later served in the Mediterranean. In December 1941, when his ship was sunk by a mine off Tripoli, he had to swim to safety. 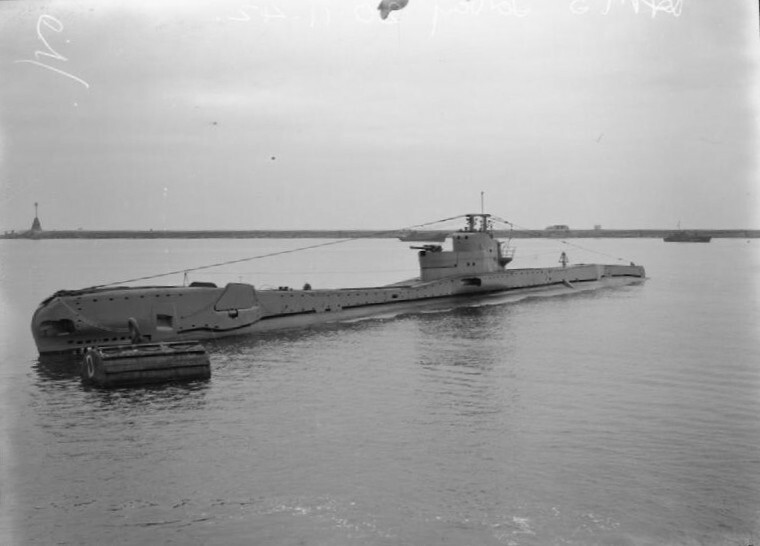 In December 1942 Magennis entered the Submarine Service and volunteered for special service in X-class 'midget' submarines, training as a diver. In September 1943 he took part in the first major use of the X-craft when two submarines penetrated Kaafjord, north Norway, and disabled the German battleship Tirpitz. For his part Magennis was mentioned in dispatches. The King has been graciously pleased to approve the award of the Victoria Cross for valour to Temporary Acting Leading Seaman James Joseph Magennis, D/KX144907. Leading Seaman Magennis served as diver in His Majesty's Midget Submarine XE3 for her attack on 31 July 1945 on a Japanese cruiser of the Atago class. Because XE3 was tightly jammed under the target the diver's hatch could not be fully opened, and Magennis had to squeeze himself through the narrow space available. He experienced great difficulty in placing the limpets on the bottom of the cruiser owing both to the foul state of the cruisers bottom and to the prominent slope upon which the limpets would not hold. Before a limpet could be placed therefore Magennis had thoroughly to scrape the area clean of barnacles, and in order to secure the limpets he had to tie them in pairs by a line passing under the cruisers keel. This was very tiring work for a diver, and he was moreover handicapped by a steady leakage of oxygen which was ascending in bubbles to the surface. A lesser man would have been content to place a few limpets and then to return to the craft. Magennis, however, persisted until he had placed his full outfit before returning to the craft in an exhausted condition. Shortly after withdrawing Lt. Fraser endeavoured to jettison his limpet carriers, but one of these would not release itself and fall clear of the craft. Despite his exhaustion, his oxygen leak and the fact that there was every probability of his being sighted, Magennis at once volunteered to leave the craft and free the carrier rather than allow a less experienced diver to undertake the job. After seven minutes of nerve racking work he succeeded in releasing the mine carrier. Magennis displayed very great courage and devotion to duty and complete disregard for his own safety. Magennis's award led to a period of great celebrity just after the war. He was given a civic reception in December 1945 and the £3000 proceeds of a public subscription. However, the Belfast city fathers refused to grant him the freedom of the city. In 1946 Magennis married Edna Skidmore. He left the navy in 1949 and returned to Belfast, where he found it hard to make a living and in 1952 sold his medal for £100. Magennis left Belfast after his son David, six, was killed by a trolley bus, settling in his wife Edna's home town, Bradford, west Yorkshire in 1955. He died of cancer in 1986, aged 66. Commander Anthony Miers had been specialising in submarines since 1929 so by the time war broke out in 1939 he was an immensely experienced submariner. Miers was an early awardee of the Distinguished Service Order ( DSO ) in October 1941 and was awarded a Bar to his DSO in April 1942 for his part in sinking eleven ships in the Mediterranean. 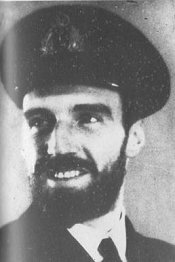 In March 1942 HM submarine 'Torbay', commanded by Anthony Miers, followed three Italian destroyers and a convoy of ships into Corfu Harbour. This was a dangerous, delicate and slow manoeuvre and as night fell Miers knew he could not attack until the morning. There was a further problem: the batteries had to be recharged or 'Torbay' would not get out of the harbour next day. Miers VC citation sets out much of what happened next. [ London Gazette, 7 July 1942 ], for the award of the Victoria Cross. Corfu Harbour, Ionian Sea, 4 March 1942, Commander Anthony Cecil Capel Miers, Royal Navy ( HM Submarine 'Torbay' ). For valour in command of H.M. Submarine 'Torbay' in a daring and successful raid on shipping in a defended enemy harbour, planned with full knowledge of the great hazards to be expected during seventeen hours in waters closely patrolled by the enemy. On arriving in the harbour he had to charge his batteries lying on the surface in full moonlight, under the guns of the enemy. As he could not see his target he waited several hours and attacked in full daylight in a glassy calm. When he had fired his torpedoes he was heavily counter-attacked and had to withdraw through a long channel with anti-submarine craft all round and continuous air patrols overhead. Anthony Miers was invested with his Victoria Cross by King George VI at Buckingham Palace on the 28th July 1942. The King has been Graciously pleased to approve of the grant of the Victoria Cross for great valour to Lieutenant Ian Edward Fraser DSc, Royal Naval Reserve. Lieutenant Fraser commanded His Majesty's Midget Submarine XE-3 in a successful attack on a Japanese heavy cruiser of the Atago class at her moorings in Johore Strait, Singapore, on 31st July, 1945. During the long approach up the Singapore Straits XE-3 deliberately left the believed safe channel and entered the mined waters to avoid suspected hydrophone posts. The target was aground, or nearly aground, both fore and aft, and only under the midships portion was there just sufficient water for XE-3 to place herself under the cruiser. For forty minutes XE-3 pushed her way along the seabed until finally, Lieutenant Fraser managed to force her right under the centre of the cruiser. Here he placed the limpets and dropped his main side charge. Great difficulty was experienced in extricating the craft after the attack had been completed, but finally XE-3 was clear, and commenced her long return journey out to sea. The courage and determination of Lieutenant Fraser are beyond all praise. Any man not possessed of hia relentless determination to achieve his objective in full, regardless of all consequences, would have dropped his tide charge alongside the target instead of persisting until he had forced his submarine right under the cruiser. The approach and withdrawal entailed a passage of 80 miles through water which had been mined by both the enemy and ourselves, past hydrophone positions, over loops and controlled minefields, and through an antisubmarine boom. The King is Graciously pleased to approve the award of the Victoria Cross to Lieutenant Basil Charles Place, DSc, Royal Navy and Lieutenant Donald Cameron, Royal Naval Reserve. Lieutenants Place and Cameron were the Commanding Officers of two of His Majesty's Midget Submarines X7 and X6 which on the 22nd September 1943 carried out a most daring and successful attack on the German Battleship Tirpitz, moored in the protected anchorage of Kaa fjord, North Norway. To reach the anchorage necessitated the penetration of an enemy minefield. and a passage of fifty miles up the fjord, known to be vigilantly patrolled by the enemy and to be guarded by nets, gun defences and listening posts, this after a passage of at least a thousand miles from base. Having successfully eluded all these hazards and entered the fleet anchorage, Lieutenants Place and Cameron, with complete disregard for danger, worked their small craft past the close antisubmarine and torpedo nets surrounding the Tirpitz, and from a position inside these nets, carried out a cool and determined attack. Whilst they were still inside the nets a fierce enemy counter attack by guns and depth-charges developed which made their withdrawal impossible. 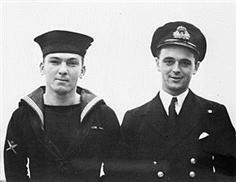 Lieutenants Place and Cameron therefore scuttled their craft to prevent them falling into the hands of the enemy Before doing so they took every measure to ensure the safety of their crews, the majority of whom, together with themselves were subsequently taken prisoner. In the course of the operation these small craft pressed home their attack to the full, in doing so accepting all the dangers inherent in such vessels and facing every possible hazard which ingenuity could have devised for the protection in harbour of vitally important capital ships. The courage, endurance and utter contempt for danger in the immediate face of the enemy shown by Lieutenants Place and Cameron during this determined the successful attack were supreme. Petty Officer Thomas William Gould. The King has been Graciously pleased to approve of the grant of the Victoria Cross for great valour while serving in HM Submarine Thrasher to Lieutenant Peter Scawen Watkinson Roberts, RN and Petty Officer Thomas William Gould. On February 16th, in daylight, HM Submarine Thrasher attacked and sank a heavily escorted supply ship she was at once attacked by depth-charges and was bombed by aircraft. The presence of two unexploded bombs in the gun-casing was discovered when after dark the submarine surfaced and began to roll. Lieutenant Roberts and Petty Officer Gould volunteered to remove the bombs, which were of a type unknown to them. The danger in dealing with the second bomb was very great. To reach it they had to go through the casing, which was so low that they had to lie at full length to move in it. Through this narrow space, in complete darkness, they pushed and dragged the bomb for a distance of some 20 feet until it could be lowered over the side. Every time the bomb was moved there was a loud twanging noise as of a broken spring which added nothing to their peace of mind. This deed was more gallant as HM Submarine Thrasher's presence was known to the enemy; she was close to the enemy coast and in waters where his patrols were known to be active day and night. There was a very great chance, and they knew it, that the submarine might have to crash-dive while they were under the casing. Had this happened they must have been drowned. The King has been Graciously pleased to approve of the grant of the Victoria Cross to Lieutenant Richard Douglas Sandford, Royal Navy for the conspicuous gallantry. This officer was in command of Submarine C3, and most skilfully placed that vessel in between the piles of the viaduct before lighting his fuse and abandoning her. He eagerly undertook this hazardous enterprise, although well aware (as were all his crew) that if the means of rescue failed and he or any of his crew were in the water at the moment of the explosion, they could be killed outright by the force of such explosion. Yet Lieutenant Sandford disdained to use the gyro steering, which would have enabled him and his crew to abandon the submarine at a safe distance, and preferred to make sure, as far as humanly possible, of the accomplishment of his duty. The King has been Graciously pleased to approve of the grant of the Victoria Cross for great valour and resolution in command of His Majesty's Submarine Upholder to Lieutenant Commander Malcolm David Wanklyn, DSO, Royal Navy. On the evening of 24th May, 1941, whilst on patrol off the coast of Sicily, Lieutenant Commander Wanklyn, in command of His Majesty's Submarine Upholder, sighted a southbound enemy troop convoy, strongly escorted by Destroyers. The failing light was such that observation by periscope could not be relied on but a surface attack would have been easily seen. Upholder's listening gear was out of action. In spite of these severe handicaps Lieutenant Commander Wanklyn decided to press home his attack at short range. He quickly steered his craft into a favourable position and closed in so as to make sure of his target. By this time the whereabouts of the escorting Destroyers could not be made out. Lieutenant Commander Wanklyn, while fully aware of the risk of being rammed by one of the escorts, continued to press on towards the enemy troopships. As he was about to fire, one of the enemy Destroyers suddenly appeared out of the darkness at high speed, and he only just avoided being rammed. As soon as he was clear, he brought his periscope sights on and fired torpedoes, which sank a large troop ship. The enemy Destroyers at once made a strong counterattack and during the next twenty minutes dropped thirty-seven depth-charges near Upholder. The failure of his listening devices made it much harder for him to get away, but with the greatest courage, coolness and skill he brought Upholder clear of the enemy and safe back to harbour. Before this outstanding attack, and since being appointed a Companion of the Distinguished Service Order, Lieutenant Commander Wanklyn has torpedoed a tanker and a merchant vessel. He has continued to show the utmost bravery in the presence of the enemy. He has carried out his attacks on enemy vessels with skill and relentless determination, he has also sunk one destroyer, one U-boat, two troop-transports of 19,500 tons each, one tanker and three supply ships. He has besides probably destroyed by torpedoes one cruiser and one destroyer, and possibly hit another cruiser. The German battlecruiser "Goeben", which had been mined while attempting a raid against Mundros, ran aground off Nargara Point in the Dardanelles. Repeated air attacks failed to achieve any noticeable results and at dusk on 27th January, HM Submarine E-14, under the command of Lieutenant Commander G.S. White left Imbros in the desperate hope of torpedoing her. Despite being caught in the anti submarine nets, White succeeded in bringing E-14 up to Nagara only to find the Geoben had gone during the night. 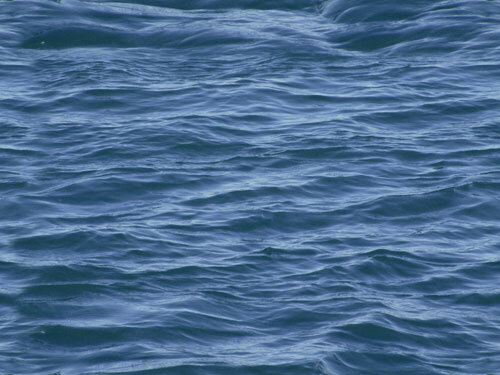 There was nothing White could do except to reverse course and start back down the Straits. When off Chanak he sighted and fired at a large merchantman, but the torpedo exploded prematurely and E-14 was badly damaged. For two hours the submarine continued her dived passage towards the open sea but finally she became so flooded as to be uncontrollable. White gave the order to surface in the hope of making a final dash clear, but E-14 was hit by gunfire from the shore batteries. With no hope of escape White altered course towards the shore to give his crew a chance of safety, but was himself killed by shellfire shortly before E-14 sank. The King has been Graciously pleased to approve of the grant of the Victoria Cross for great valour in command of HM Submarines to Commander John Wallace Linton, DSO, DSC, Royal Navy. From the outbreak of war until HMS Turbulent's last patrol Commander Linton was constantly in command of submarines, and during that time inflicted great damage on the enemy. He sank one cruiser, one destroyer, one U-boat, twenty-eight supply ships, some 10000 tons in all, and destroyed three trains by gunfire. In his last year he spent two hundred and fifty four days at sea, submerged for nearly half the time, and his ship was hunted thirteen times and had two hundred and fifty depth-charges aimed at her. His many and brilliant successes were due to his constant activity and skill, and the daring which never failed him when there was an enemy to be attacked. On one occasion, for instance, in HMS Turbulent, he sighted a convoy of two merchantmen and two Destroyers in mist and moonlight. He worked round ahead of the convoy and dived to attack it as it passed through the moon's rays. On bringing his sights to bear he found himself right ahead of a destroyer. Yet he held his course 'till the destroyer was almost on top of him, and, when his sights came on the convoy, he fired. His great courage and determination were rewarded. He sank one merchantman and one destroyer outright, and set the other Merchantmen on fire so that she blew up.